The key is that from a <= b and b < c, we can conclude a < c. We only need *one* of the inequalities to be strict. 0 divided by 0 is a famous indeterminate form, but 0 times 0 is not indeterminate. If you have x times sin(x), that's of the form f(x) times g(x), where both f and g are approaching 0 as x approaches 0. Hence the product x*sin(x) also approaches 0. Topic: Can you help me identify this language? Can you help me identify this language? 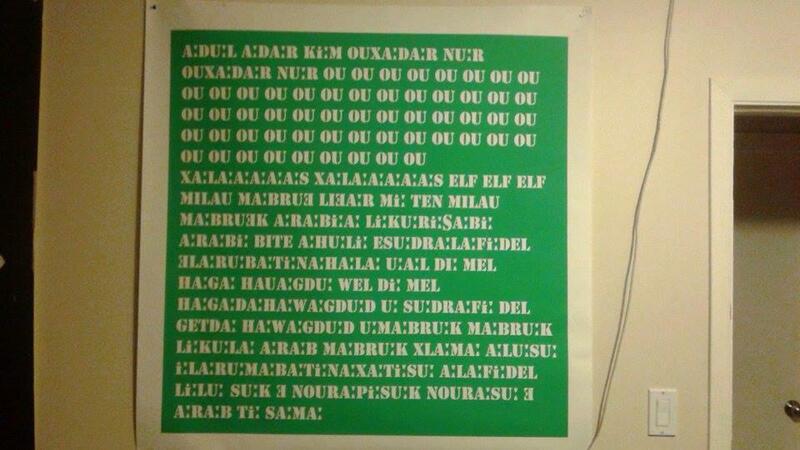 My friend asked for help identifying the language in this picture. This is really interesting. Does the equation (a^2+b)/(a+b^2) = n have a name that anyone's aware of? Does the equation have infinitely many solutions for all n? Did the OP get the question from a textbook or paper or anything, or just from playing around? Yep. Those explanations are all correct. I fully admit that my jokes were kind of forced and contrived. An iterated logarithm sometimes appears in analytic number theory or other branches of math that deal with asymptotics. And it kind of sounds like "glug glug". What does an analytic number theorist say when drowning? What kind of baseball bat does an analytic number theorist use? What's an analytic number theorist's favorite Star Wars character? This might not answer the question exactly, or succinctly, but it's an exploration by John Baez of "why" certain processes lead to fractal sets. It's also sometimes called the "adventitious angles" problem, and Googling those words gives you some results. Topic: "Why" is the Euler-Mascheroni constant near sqrt(1/3)? Re: "Why" is the Euler-Mascheroni constant near sqrt(1/3)? Topic: how do i find F(g(x)) given f(x), g(x), or compute it? Re: how do i find F(g(x)) given f(x), g(x), or compute it? Or how Sum(n,n=1..4) is 1+2+3+4=10 and is not a function of n.
"Why" is the Euler-Mascheroni constant near sqrt(1/3)? This is a little subjective, but personally, I think it could be argued that it's *more* surprising when the value of an infinite sum turns out to be, say, sqrt(2*e) or log(pi) or something similarly related to "known" constants. Yes. So, for example, if ln(y) approached 15 (it doesn't, I just made that up) then y would approach e^15. As an undergraduate math major, I very much enjoyed "Graph Theory" by Bollobas. I know I'm just one person, but take that as you will. Topic: Can x+3 and x^2+3 both be perfect cubes? Re: Can x+3 and x^2+3 both be perfect cubes? arbiteroftruth wrote: Rather amusingly, the first solution I found to the original problem uses Fermat's last theorem as the final step. Heh, cool. Would you mind sharing your solution? Can x+3 and x^2+3 both be perfect cubes?